Add storage and display space next to a chair or sofa with the Benjamin Reclaimed Chairside Table. 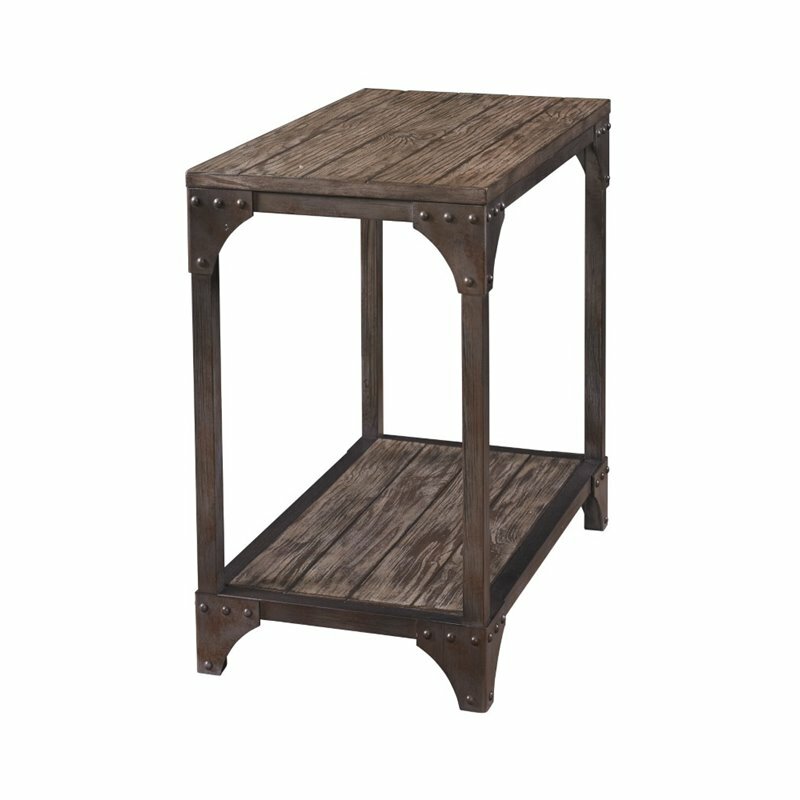 Exuding vintage character and charm, the table has an industrial style metal base accented with two shelves of drifted style wood. The neutral finish and simple design allows the cocktail table to easily complement any style home. With its slim design, it occupies minimal floor space making it perfect for small rooms. Some Assembly Required.